When the summer Olympics commence Aug. 5, tens of thousands of athletes, coaches, support staff and spectators will descend upon Rio de Janeiro from all corners of the world, and many will rely on GE engines and aircraft systems to ensure their safe global travel. But GE Aviation is ready for its role in this ultimate sports showcase. After all, on an average day there are approximately 1,700 GE- and CFM-powered domestic and international flights in and out of Brazil (that equates to 600,000+ GE-connected flights annually). And it’s likely that number will temporarily soar to handle the demand of the Games of the XXXI Olympiad. GE, serving again as a Worldwide Olympic Partner, is certainly no stranger to Brazil as it has had a presence there for nearly 100 years. 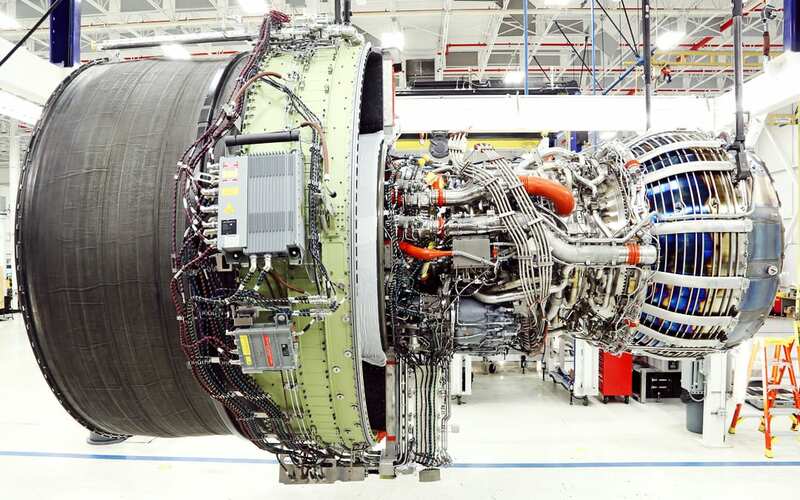 GE Aviation has had operations there since 1996 when it acquired the Celma engine maintenance facility. Today there are three GE Aviation sites – Celma, On-Wing Support and Avio Aero – operating in Latin America’s largest country that employee nearly 1,800. GE Aviation also supports 10 Brazilian airline customers operating more than 350 GE-powered aircraft (passenger and cargo) involving over 700 GE and CFM powerplants. Decorated Brazilian Paralympic rower Fernando Rufino visited Celma and gave a motivational speech about his life and Olympic experiences. In addition, a cadre of GE Aviation employees in Brazil is intricately involved in the Olympics. Celma engineer Antonio Iebra is serving as the GE Rio 2016 Ambassador, helping to generate excitement at the host-country plant for the Olympics over the past few months through a variety of brand-promotion activities. One such effort involved a visit and motivational speech from decorated Brazilian Paralympian Fernando Rufino. To stay connected to the Olympics, click here.